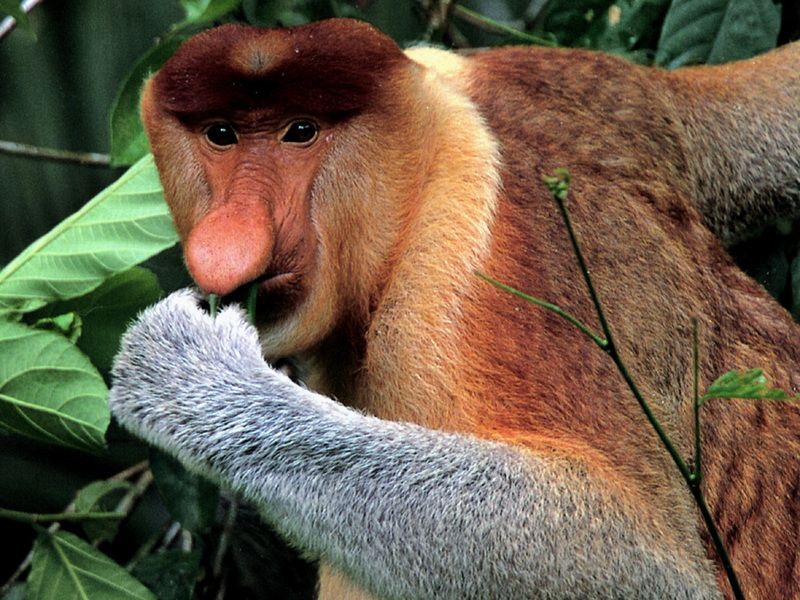 The proboscis monkey is found only on the island of Borneo in Southeast Asia. It gets its name from its large, fleshy nose. Its ability to eat mainly leaves gives it a niche where it's the only medium sized mammal living in the canopy of the forest.